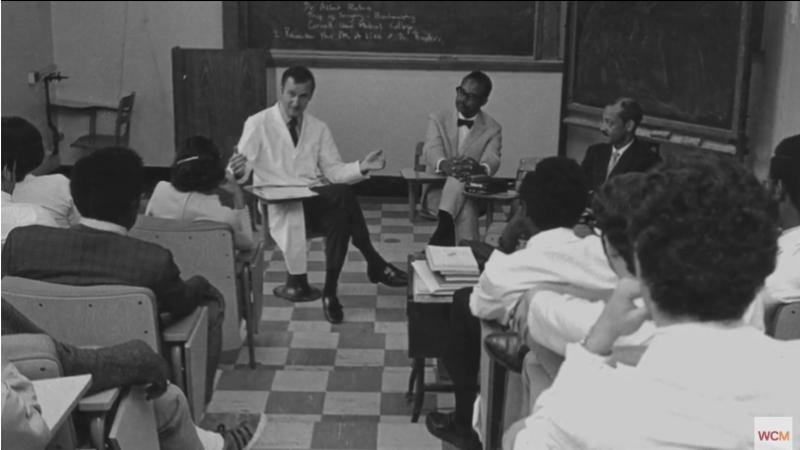 USA TODAY examined medical school enrollment after the wide coverage of the racially controversial photo that appeared in the 1984 Eastern Virginia Medical School yearbook entry of Virginia Gov. Ralph Northam. AMSNY shares what is being done in New York to increase diversity in medicine. Learn more. 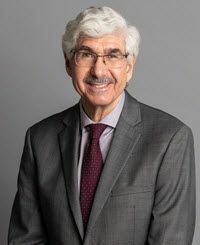 Jerry L. Nadler, M.D., MACP, FAHA, FACE, has officially taken the helm as the new dean of the School of Medicine at New York Medical College. Born and raised in Brooklyn, New York, Dr. Nadler became inspired to find a cure for diabetes when he was ten years old. Learn more. 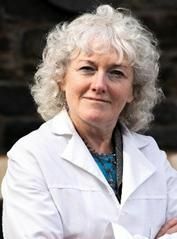 Dr. Erica Friedman has been appointed as interim dean of the CUNY School of Medicine after founding dean, Dr. Maurizio Trevisan stepped down and returned to faculty in February. 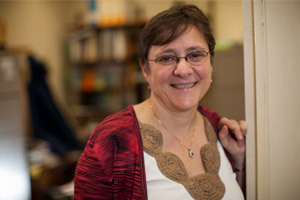 Trevisan is credited for advocating and securing support for the former Sophie Davis School of Biomedical Education to become an accredited medical school. Learn more. Blacks and Latinos make up more than 30 percent of the U.S. population, but only 10.3 percent of medical school graduates, a number that hasn’t changed much in 50 years. It’s a stark reminder that even though the U.S. population is becoming more diverse, medicine isn’t. Learn more. First-year UB medical student Shanice Guerrier had to find her own way to medical school. Like many underrepresented students, Guerrier didn’t know anyone like her who had gone through the experience. Learn more. Forbes has ranked the Mount Sinai Health System No. 1 nationally among health systems and hospitals, and No. 19 overall, on its 2019 list of “The Best Employers for Diversity.” The rankings included 500 U.S. organizations in major industries such as biotechnology, insurance, telecommunications, retail, and education. Learn more. 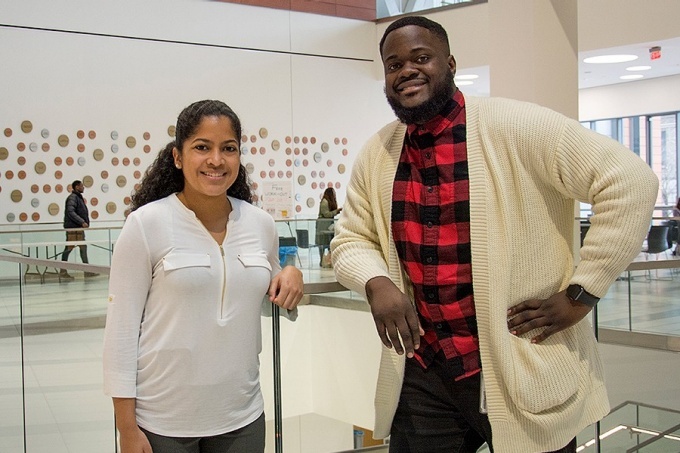 Since its founding in 1969, Weill Cornell Medicine’s Travelers Summer Research Fellowship program has offered pre-medical students from groups historically underrepresented in medicine with up-close views of the field, aiming to increase the number of minority physicians in the workforce. 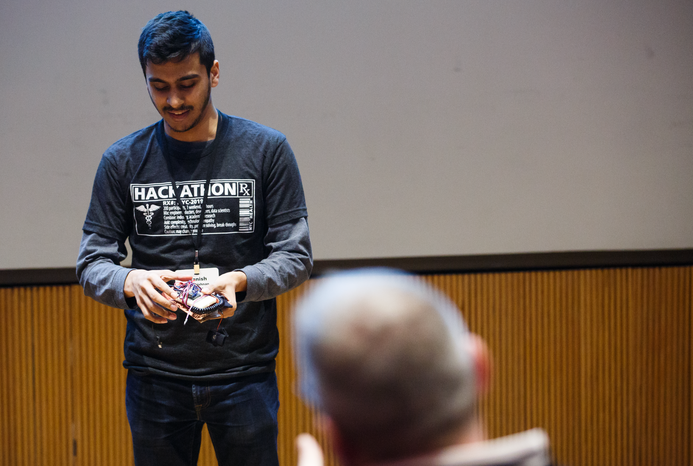 Participants engage in research opportunities, faculty shadowing, science lectures and small-group discussions on topics such as health disparities. Learn more. 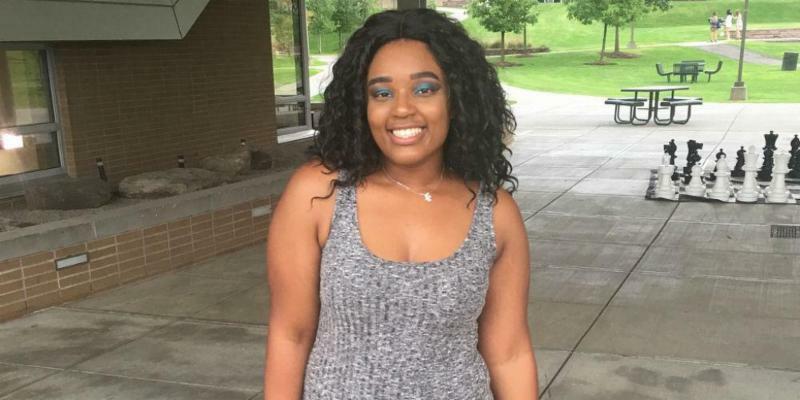 Jada McMahon, a senior at Binghamton University from Hempstead, N.Y., has been selected as the first recipient for the Dr. Sarah Loguen Fraser Dean’s Student Distinction Award. McMahon will enter Upstate’s College of Medicine as a first-year student this fall. Learn more. Physicians often work without having a clear answer and must make decisions under the pressure of uncertainty, but medical school traditionally has not taught students how to develop that ability. The ability to tolerate uncertainty can make a good physician great, says Deepthiman Gowda, MD, MPH, MS, associate professor of medicine at Columbia University Vagelos College of Physicians and Surgeons. Learn more. Children with intellectual and developmental disabilities (IDD) have long benefited from the training pediatricians receive to treat autism, epilepsy, cerebral palsy, or other disorders. Their doctors often connect these young patients with many professionals-from physical, occupational, and speech therapists to psychologists, social workers, and special-care dentists. Learn more. On February 21, leaders from NYIT College of Osteopathic Medicine (NYITCOM) and Johns Hopkins University (JHU) launched a new partnership enabling JHU students to pursue an osteopathic medical education. Learn more. 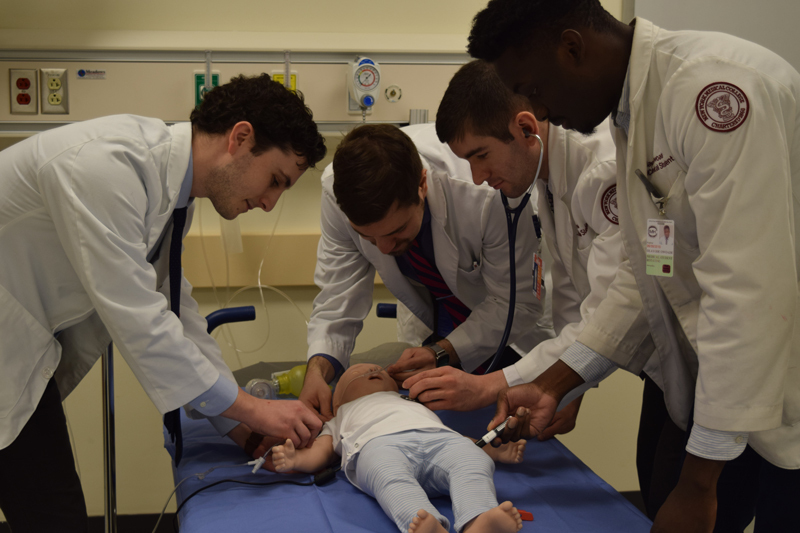 The Clinical Skills and Simulation Center is proud to unveil two new patient simulators which will be used to facilitate pediatric training for students. Acquired through a grant from The Children’s Dream Foundation- an organization aimed at improving emergency pediatric care in the Hudson Valley-the advanced infant patient simulators known as SimBabyTM and Premature AnneTM are high fidelity simulators featuring realistic anatomy and clinical functionally. Learn more. The University of Rochester employs about 80 radiologists; the country of Zambia has one. 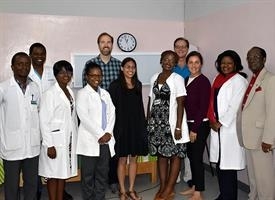 A collaboration between Michael Potchen, M.D.,professor in the Department of Imaging Sciences, URMC Imaging residents, and the Zambian Ministry of Health aims to address this disparity by training Zambian medical school graduates in radiology. Learn more. 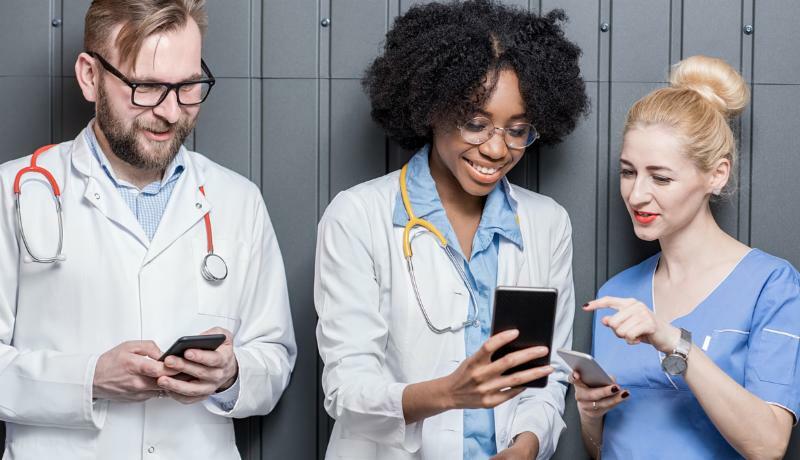 Ninety percent of medical students use social media, and a growing number of health care organizations now encourage professionals to have a social media presence. However, physicians are held to a higher standard. Content posted to social media platforms, as well as dating apps like Tinder, could possibly jeopardize a physician’s professional credibility. Learn more. 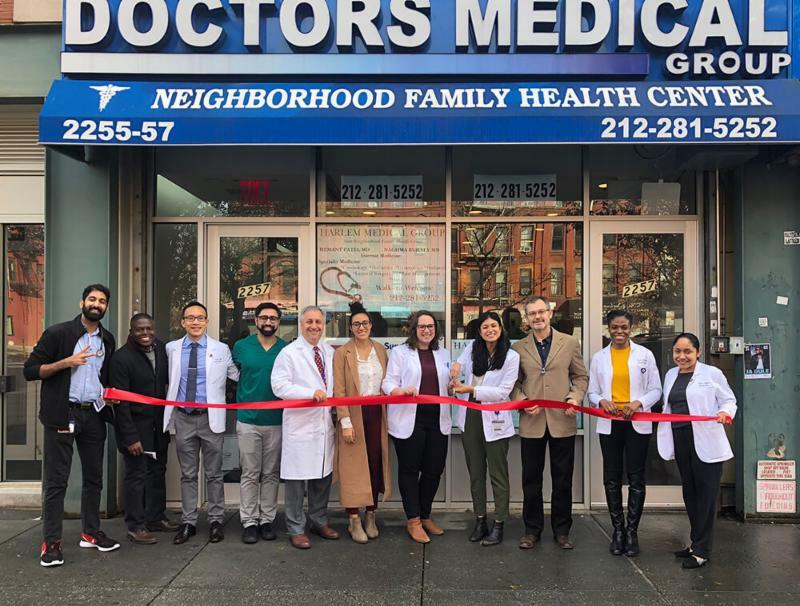 Touro College of Osteopathic Medicine (TouroCOM) has opened a student-run, free clinic to serve the Harlem community, Dean David Forstein, DO, announced. The clinic has been in the works for several years. 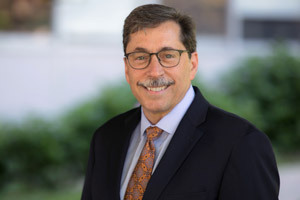 Dean Forstein served as attending physician on the clinic’s first day. Learn more. More than 60 medical students a year take part in volunteer programs that bring health care services to those who need it most: Rochester’s homeless community, and others living in poverty or lacking access to care. 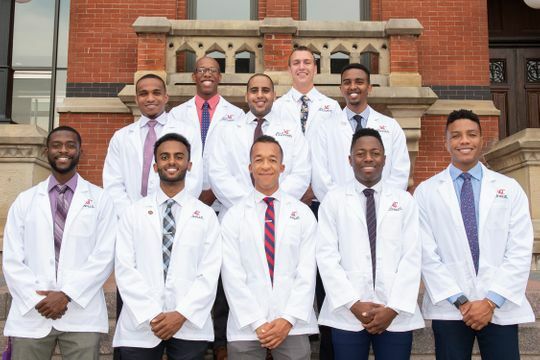 Medical students in the URWell program operate three free clinics at Asbury Methodist Church, St. Joseph’s Neighborhood Center, and St. Luke’s Tabernacle Church. Learn more. 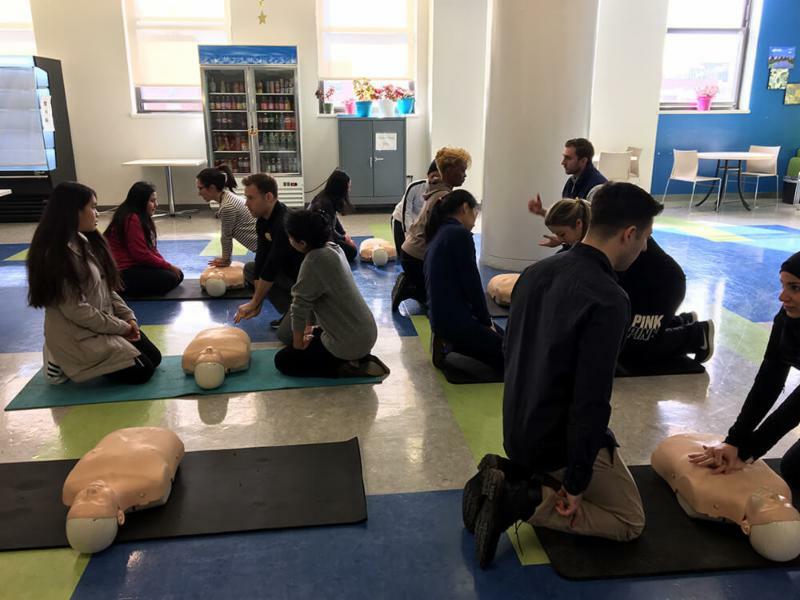 In a “Texas Two Step” CPR training to Save Lives, medical students at TouroCom Harlem taught children and adults how to perform a simple two-step method of CPR on a loved one or stranger who might be having a cardiac emergency. Meanwhile in Middletown, teachers, staff members and administrators in the Warwick Valley School District were receiving life-saving trauma response training, making Warwick Valley the first school district in Orange County to partner with Touro College of Osteopathic Medicine to offer such training. 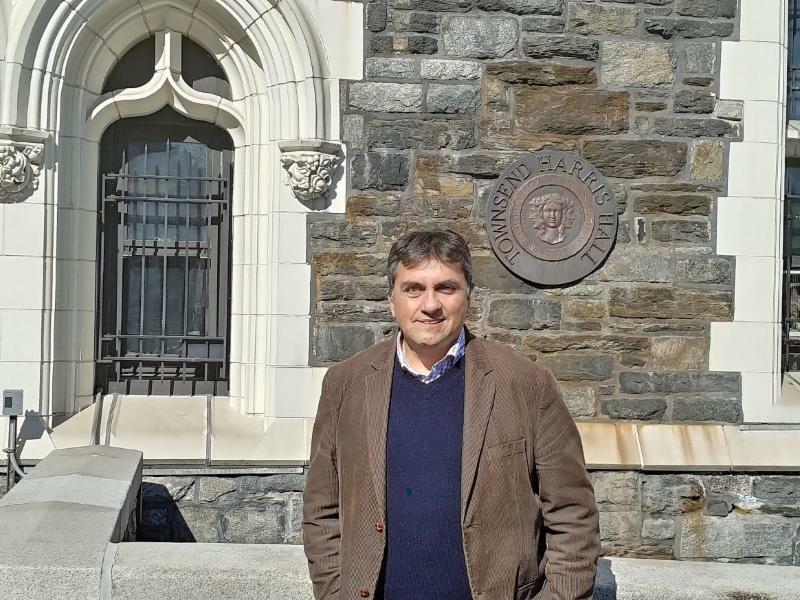 The CUNY School of Medicine announces the appointment of Dr. Gonzalo E. Torres as the new Chair of the Department of Molecular, Cellular, and Biomedical Sciences. Torres is a national and international authority in the area of molecular neuropharmacology and an expert in brain dopamine research. Learn more. More than six decades after it first opened its doors, Albert Einstein College of Medicine is now an independent academic institution, with the authority to confer its own medical and graduate degrees. 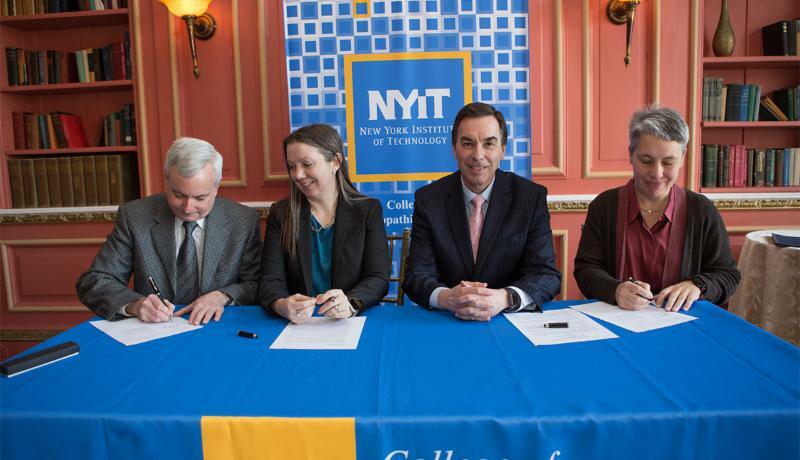 This achievement had been set in motion more than three years ago, when Yeshiva University entered into a strategic joint collaboration with longtime Einstein affiliate, Montefiore. Learn more. 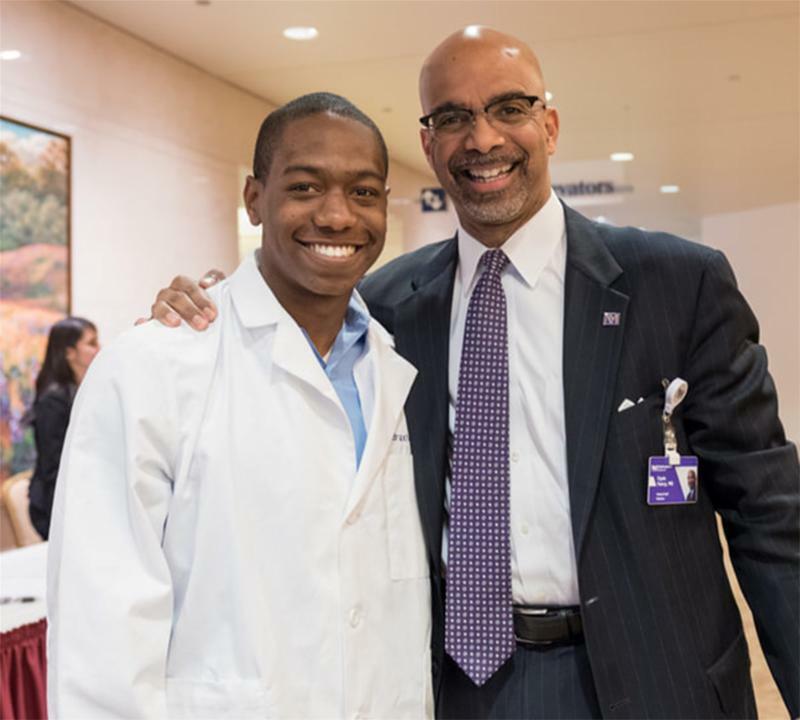 Sidney Hankerson, MD, an assistant professor of psychiatry at the Columbia University Vagelos College of Physicians and Surgeons (VP&S), is the 2019-2020 recipient of the Vanneck-Bailey Award from the Virginia Apgar Academy of Medical Educators at VP&S. Learn more. For first-year Weill Cornell Graduate School of Medical Sciences doctoral student Suniyya Amna Waraich, developing new therapies for stroke patients is personal: A close relative was at a family gathering when he had a stroke. Fortunately, the doctors in her family were able to diagnose it early, she said, he has recovered well as a result. Learn more. 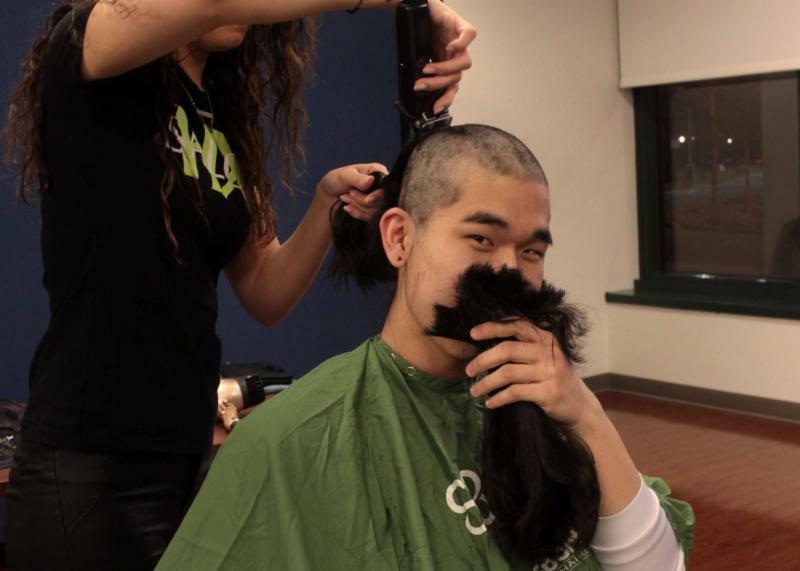 Students and staff at the Donald and Barbara Zucker School of Medicine at Hofstra/Northwell sacrificed their locks with love during their seventh annual St. Baldrick’s Day, a charity in support of the St. Baldrick’s Foundation and pediatric cancer research. 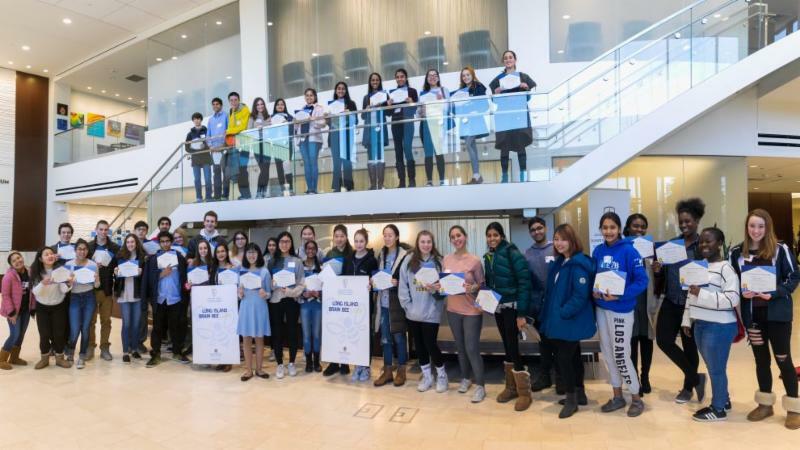 To date, the School of Medicine has raised nearly $11,000 for the cause during “pre-shave” festivities held on Feb. 27 in advance of Hofstra University’s official campus-wide event to take place on Apr. 3. Learn more. 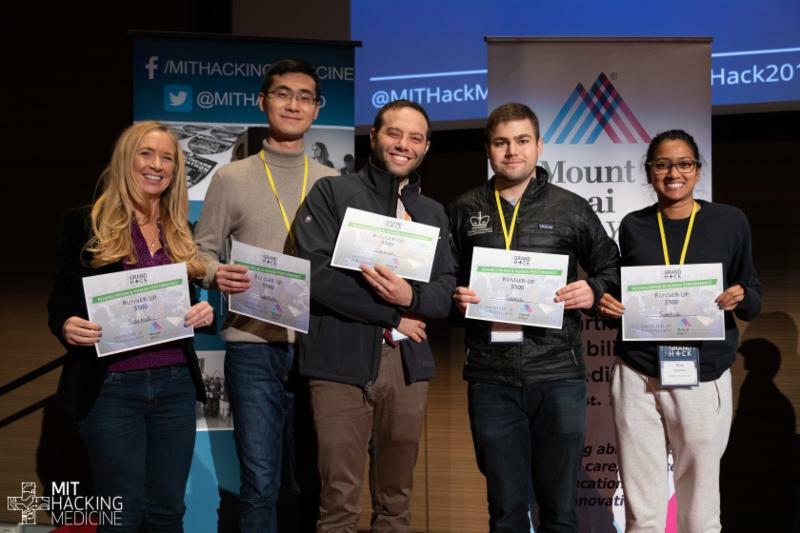 More than 200 people recently attended the inaugural NYC Grand Hack at the Icahn School of Medicine at Mount Sinai.The participants came from many institutions, in fields ranging from medicine to programming. At the event, they tackled medical issues in three tracks: rehabilitation and human performance, public and mental health, and lung cancer. Learn more. Once again Plainview-Old Bethpage JFK High School (POBJFK) has been awarded head of the hive following a third consecutive win at the annual Long Island Brain Bee, a regional high school science competition held on Feb. 9 at the Donald and Barbara Zucker School of Medicine at Hofstra/Northwell that tests knowledge of the brain and nervous system. Learn more.